0 I disclosed my relationship with Ms. Riza. 0 I proposed that I would recuse myself from all personnel matters concerning her. 0 The issue was submitted to the Ethics Committee. The Committee decided that recusal was insufficient. 0 The Committee decided that Ms. Riza should be relocated outside the Bank, over her objections. 0 They also told me – over my strong and repeated objections – that I would have to be the one to work with Human Resources to get it done. 0 At the time, I understood the Committee was the final arbiter of ethics questions, so I followed their advice, even though I questioned it. 0 The agreement reached with Ms. Riza was in line with other World Bank settlement agreements and was consistent with the goals that the Ethics Committee set out for treating her fairly in difficult and unprecedented circumstances. I find it inconceivable that the Ethics Committee did not know the details of the arrangements with Ms. Riza. The information certainly was available to them and I assume they were not negligent in their duties. Update: Here’s the real scandal. 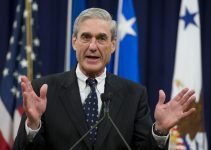 Bob Mueller’s Underworld: Where Does It All End?